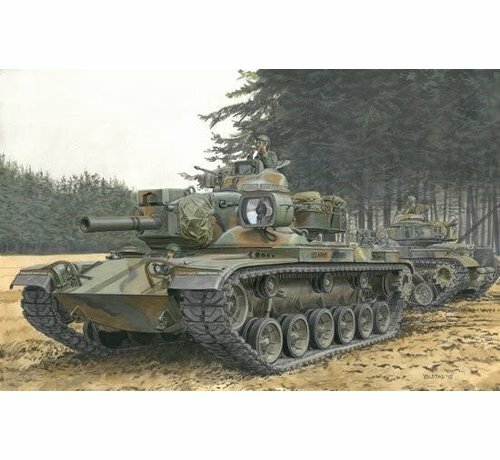 The M60 main battle tank (MBT), first introduced in 1960, was developed by the USA primarily to meet the threat posed by the Warsaw Pact during the Cold War. 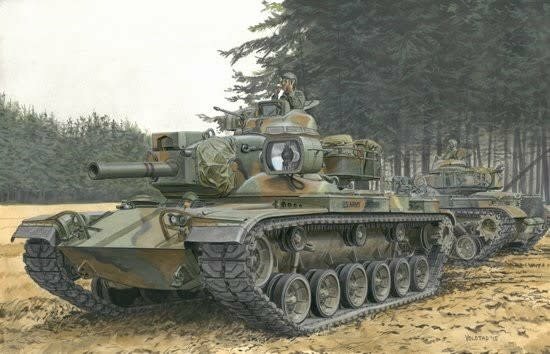 One variant of that family was the M60A2, which entered service in 1972 as a stop-gap solution before the expected arrival of the MBT-70. Some 526 examples were manufactured, and it was nicknamed the Starship because of its then sophisticated technology, with the M48 152mm gun/launcher being an obvious example. This weapon, which had a troubled operational life, fired the MGM-51 Shillelagh anti-tank guided missile out to a range of 3km. A .50-cal machine gun was also mounted in the commander’s cupola on the new low-profile turret, meaning the commander did not need to leave the safety of his position. Although the M60A2 was a disappointment, it paved the way for future designs. 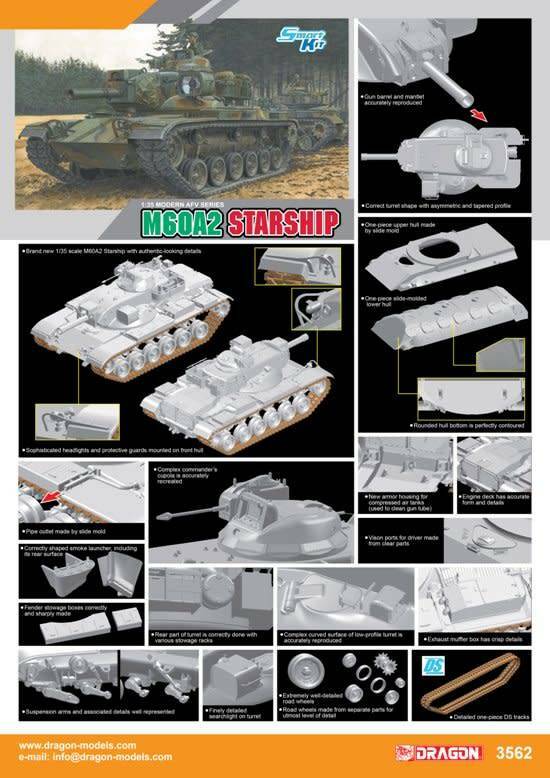 Now, to thrill fans of modern armor, we are going to released a 1/35 scale model kit of the M60A2 Starship. 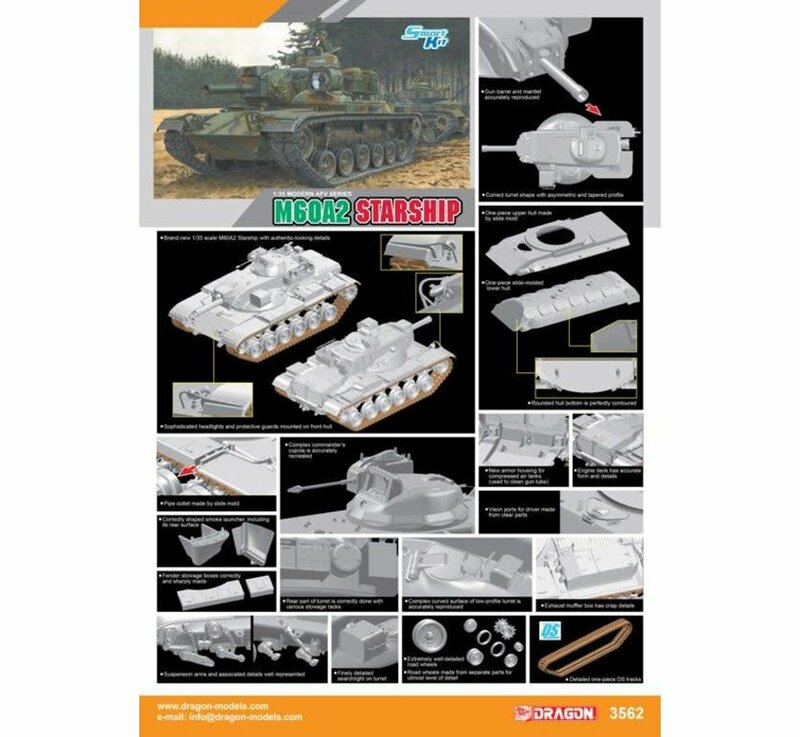 Dragon has conducted highly detailed and extensive research on this tank, and the result is a superb plastic kit. The complex form of the turret is accurately reflected, and the tank has lots of convenient features such as slide-molded components and DS tracks. Dragon has taken this M60A2 Starship into the space age with this technologically sophisticated kit!